Here is a simple and concise guide on how to backup android devices entire data like contacts, Photos, videos, SMS, and apps data. It’s very essential to copy yours device personal data before going to any modification or going to sell your smartphone. 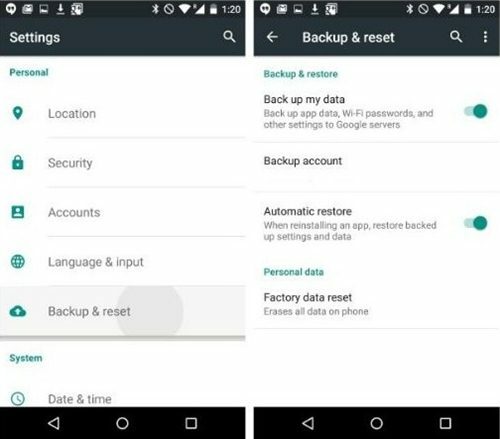 In other case if you lost, hard brick or soft brick your android device a complete backup of your data will help you to recover your important data. If you hold any android device the under mentioned tutorial will help to completely backup your data. Almost all android smartphones have a default app for backing up your contacts, settings, apps data, and other important data. However, developer has also introduced numerous apps for this purpose. Some of those apps are free and other are paid apps. Some of the apps will backup your specific data while other will backup your data entirely. How to Backup Android Devices Personal Data. The easiest way that I have recommended is to copy all your data like photos and videos into your laptop or PC. Connect your device to laptop or PC and browse your device internal and external memory. Then copy all the important contents to yours PC hard drive. However, you can also use the follow methods. Google Backup is another easiest method for backing up yours phone’s data and settings safely at Google online server. All the data will save into your Google account. The option will be available on the main settings menu of your device. Follow the steps to backup your data by Google Backup. You can restore all your data when you sing-in with your Google account on any other device. Go to device Settings. >> Backup & reset. >> Backup my data. >> select your Google account. >> choose your contents that you want to be backup. Backup Android Devices- Google backup. 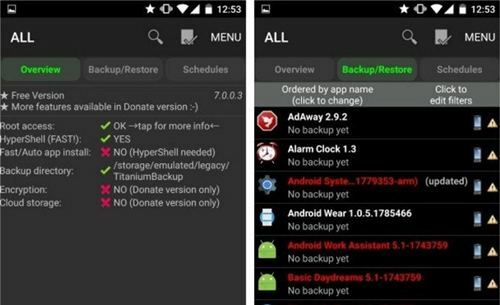 Easy Backup and Restore app: nowadays lots of free apps are available at Google play store some of those will backup only specific data and other will backup your entire data all in one. The “Easy Backup & Restore” is a free all in one backup app that will backup your Apps, App data, Contacts, SMS, Call logs, Calendar and bookmarks. However it not backup your Gallery items and music files. Install the app and run app and tap “Backup”. Select your required categories of contents and tap OK. Select location and file name to save. Titanium Backup app: if you have a rooted device then Titanium is a best backup app for you. This app will backup all your data. Following are how to backup your data using Titanium backup app. Run the app and grant the root privileges to the app. Tap on the Backup and Restore tab at main screen of the app. Here you will see a list of contents to be backup. Yellow triangle in front of each app means that this app will not be backuped..
Now tap on the small document icon with tick mark upon it. Here you will see batch actions list. Tap run next to “Backup all User Apps” to backup apps data. Tap run next to “Backup all System Data” to backup all system data. Tap run next to “Backup all User Apps + system data” to copy both. That’s how to Backup Android Devices Personal Data Simply.